For ENG, there has been a demonstrable move to produce lightweight, compact systems that can be deployed by a one person to enable a reporter to double as a cameraman, arrive at a scene, and begin reporting in minutes with no need for a separate engineer to establish uplink connectivity. Speed is important in a ratings-driven, multi-platform, see-it-now world. There's no medal for second place. And although the requirements, at least in terms of quality, continue to diverge in terms of news, sport, and live events, the need for swift access with reliable technology to provide new story-telling perspectives are quite similar. Fortunately, the miniaturisation of technology is just about keeping pace with the need for such technology, if you know where to look. What miniaturisation provides is discretion, acceptance, and, perhaps most important, freedom of movement. Static camera positions still have their place of course, but audiences want to experience news and events not just from places they've never seen before, but from points of view that engage their senses and make them feel "in the moment". To achieve this, cameras, and their transmitters, are getting smaller and smaller. The trend toward lighter, smaller and increasingly robust wireless transmission systems is empowering broadcasters around the world to cover news, events and sport in ways that make for increasingly compelling viewing, ushering in a new wave of creative possibilities for differentiation. Our new SOLO7 OBTX transmitter is a good example of an exceptionally rugged transmitter specifically designed for ENG applications. It docks neatly onto all types of ENG cameras to enable roaming, hand-held cameras to follow the most extreme version or news or sport without batting an eye. However, everyone knows that the advent of IP is rewriting a great many broadcast rules, including those for wireless transmission systems. Wireless transmitters that include IP-connectivity are the de facto way forward for those transitioning to IP-based infrastructures. Domo's SOLO 8 SDR includes IP connectivity amongst its exceptionally high density of connectors. With its software-defined ability to perform multiple functions in a single unit, much like a smart phone, it substantially reduces the need to run back to a truck or rummage through a backpack for another bit of kit. The SOLO8 SDR supports dual HD-SDI inputs as well as USB and Ethernet I/O interfaces, and the Ethernet interface supports IP video streaming. The combination essentially makes the SOLO8 SDR an IP encoder, front-end recorder, and a COFDM TX in one. What's exciting to me, and should be to you as a user, is that the transmitter also includes an ISM band telemetry receiver that enables return command and control information to be sent to the unit. 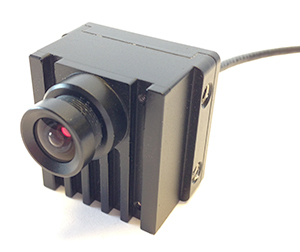 Not only can command information can be used to control inbuilt recording and power on and off the unit, the return data link has sufficient capacity to support commands for a connected camera. Colour and other camera parameters - wired or wireless - can be controlled remotely by an industry standard RCP. This enables, for example, mini-camera systems to be integrated into broadcast environments like never before. And it's that integration into a broadcast environment that has, in the past, been a problem. Stringing cables for many OB applications is nonsensical, but until recently a great many wireless approaches were unreliable and produced transmitters poor picture quality. But that's no longer the case. I've mentioned our recently launched the SOLO7 OBTX modular camera back transmitter, and we're now developing a new module to interface directly within it that will transform the already feature-rich radio into a class-leading ENG transmitter based on our SOLO8 SDR platform. The functionality that this radio will provide for ENG is second to none and provides full bi-directional communication and control from camera to studio, which means that production teams can move far more of the command, control, and creative functions back to the studio or OB truck, which will substantially reduce the costs of live news by, again, substantially reducing the amount of technology needed to be carried into the field. We've already trialled it in live applications around the world and we're delighted with the results. What all of this really signals is a revolution of, ahem, signals in the form of wireless technologies and applications that will introduce amazing new production options, and we're proud to be at the forefront of those developments. The ability to access a location, acquire images, and provide robust links to get that information back to base as quickly as possible is no longer a nice-to-have, it's a necessity. We're all on the cusp of a new age in broadcast production in many ways, and wireless transmission is a key, and pretty fundamental component of what's about to change the lives, for the better, of production teams around the world.